As much as we love those pops of color, a new trend is emerging and I LOVE it. Who would have thought to mix white on white? 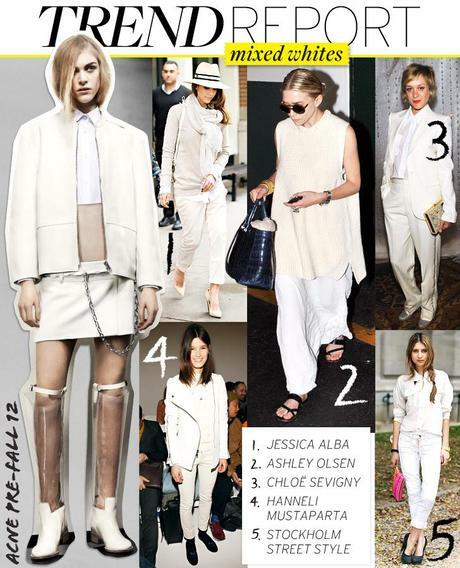 Â Ladies, get ready to say goodbye to your old fashion rule that pure whites should only go with pure whites. Now it’s about powder white flanking ivory or cream shades. The combination is absolute genius.Â Ask the taste-makers of fashion and they’ll agree. When you’ve got an all-white ensemble, it makes it easy to accessorize and that is my favorite part! Pops of color accents work well, and we think you should totally go for it but it’s more common to find the celebrity style icons wearing black, gold or silver accents with the shade. Now it’s your turn…In the hunt for your next outfit, find your white and cream shades and see what you can put together. And in no time, you’ll be looking fresh and chic. Have a happy Almost-Friday day!